Aunt of Mr. Emerson, and a potent influence on the lives of him and his brothers. This paper was read before the "Woman's Club," in Boston, in 1869, under the title "Amita," which was also the original superscription of the "Nun's Aspiration," in his Poems; a rendering into verse of a passage in Miss Emerson's diary. Part of this poem forms the motto of this chapter. I WISH to meet the invitation with which the ladies have honored me by offering them a portrait of real life. It is a representative life, such as could hardly have appeared out of New England; of an age now past, and of which I think no types survive. Perhaps I deceive myself and overestimate its interest. It has to me a value like that which many readers find in Madame Guyon, in Rahel, in Eugénie de Guérin, but it is purely original and hardly admits of a duplicate. Then it is a fruit of Calvinism and New England, and marks the precise time when the power of the old creed yielded to the influence of modern science and humanity. Cannot withhold his conquering aid. I have found that I could only bring you this portrait by selections from the diary of my heroine, premising a sketch of her time and place. I report some of the thoughts and soliloquies of a country girl, poor, solitary, — ‘a goody’ as she called herself, — growing from youth to age amid slender opportunities and usually very humble company. Mary Moody Emerson was born just before the outbreak of the Revolution. When introduced to Lafayette at Portland, she told him that she was "in arms" at the Concord Fight. Her father, the minister of Concord, a warm patriot in 1775, went as a chaplain to the American army at Ticonderoga : he carried his infant daughter, before he went, to his mother in Malden and told her to keep the child until he returned. He died at Rutland, Vermont, of army-fever, the next year, and Mary remained at Malden with her grandmother, and, after her death, with her father's sister, in whose house she grew up, rarely seeing her brothers and sisters in Concord. This aunt and her husband lived on a farm, were getting old, and the husband a shiftless, easy man. There was plenty of work for the little niece to do day by day, and not always bread enough in the house. One of her tasks, it appears, was to watch for the approach of the deputy-sheriff, who might come to confiscate the spoons or arrest the uncle for debt. Later, another aunt, who had become insane, was brought hither to end her days. More and sadder work for this young girl. She had no companions, lived in entire solitude with these old people, very rarely cheered by short visits from her brothers and sisters. Her mother had married again, - married the minister who succeeded her husband in the parish at Concord, [Dr. Ezra Ripley,] and had now a young family growing up around her. Her aunt became strongly attached to Mary, and persuaded the family to give the child up to her as a daughter, on some terms embracing a care of her future interests. She would leave the farm to her by will. This promise was kept; she came into possession of the property many years after, and her dealings with it gave her no small trouble, though they give much piquancy to her letters in after years. Finally it was sold, and its price invested in a share of a farm in Maine, where she lived as a boarder with her sister, for many years. It was in a picturesque country, within sight of the White Mountains, with a little lake in front at the foot of a high hill called Bear Mountain. Not far from the house was a brook running over a granite floor like the Franconia Flume, and noble forests around. Every word she writes about this farm ("Elm Vale," Waterford,) her dealings and vexations about it, her joys and raptures of religion and Nature, interest like a romance, and to those who may hereafter read her letters, will make its obscure acres amiable. In Malden she lived through all her youth and early womanhood, with the habit of visiting the families of her brothers and sisters on any necessity of theirs. Her good will to serve in time of sickness or of pressure was known to them, and promptly claimed, and her attachment to the youths and maidens growing up in those families was secure for any trait of talent or of character. Her sympathy for young people who pleased her was almost passionate, and was sure to make her arrival in each house a holiday. Her early reading was Milton, Young, Akenside, Samuel Clarke, Jonathan Edwards, and always the Bible. Later, Plato, Plotinus, Marcus Antoninus, Stewart, Coleridge, Cousin, Herder, Locke, Madame De Staël, Channing, Mackintosh, Byron. Nobody can read in her manuscript, or recall the conversation of old-school people, without seeing that Milton and Young had a religious authority in their mind, and nowise the slight, merely entertaining quality of modern bards. And Plato, Aristotle, Plotinus, — how venerable and organic as Nature they are in her mind! What a subject is her mind and life for the finest novel! When I read Dante, the other day, and his paraphrases to signify with more adequateness Christ or Jehovah, whom do you think I was reminded of? Whom but Mary Emerson and her eloquent theology? She had a deep sympathy with genius. When it was unhallowed, as in Byron, she had none the less, whilst she deplored and affected to denounce him. But she adored it when ennobled by character. She liked to notice that the greatest geniuses have died ignorant of their power and influence. She wished you to scorn to shine. "My opinion," she writes, (is) "that a mind like Byron's would never be satisfied with modern Unitarianism, that the fiery depths of Calvinism, its high and mysterious elections to eternal bliss, beyond angels, and all its attendant wonders would have alone been fitted to fix his imagination." Her wit was so fertile, and only used to strike, that she never used it for display, any more than a wasp would parade his sting. It was ever the will and not the phrase that concerned her. Yet certain expressions, when they marked a memorable state of mind in her experience, recurred to her afterwards, and she would vindicate herself as having said to Dr. R—— or Uncle L—— so and so, at such a period of her life. But they were intensely true when first spoken. All her language was happy, but inimitable, unattainable by talent, as if caught from some dream. She calls herself "the puny pilgrim, whose sole talent is sympathy." "I like that kind of apathy that is a triumph to overset." She writes to her nephew Charles Emerson, in 1833: - "I could never have adorned the garden. If I had been in aught but dreary deserts, I should have idolized my friends, despised the world and been haughty. I never expected connections and matrimony. My taste was formed in romance, and I knew I was not destined to please. I love God and his creation as I never else could. I scarcely feel the sympathies of this life enough to agitate the pool. This in general, one case or so excepted, and even this is a relation to God through you. ‘T was so in my happiest early days, when you were at my side." Destitution is the Muse of her genius, - Destitution and Death. I used to propose that her epitaph should be: "Here lies the angel of Death." And wonderfully as she varies and poetically repeats that image in every page and day, yet not less fondly and sublimely she returns to the other, - the grandeur of humility and privation, as thus; "The chief witness which I have had of a Godlike principle of action and feeling is in the disinterested joy felt in others’ superiority. For the love of superior virtue is mine own gift from God." "Where were thine own intellect if others had not lived? " She had many acquaintances among the notables of the time; and now and then in her migrations from town to town in Maine and Massachusetts, in search of a new boarding-place, discovered some preacher with sense or piety, or both. For on her arrival at any new home she was likely to steer first to the minister's house and pray his wife to take a boarder; and as the minister found quickly that she knew all his books and many more, and made shrewd guesses at his character and possibilities, she would easily rouse his curiosity, as a person who could read his secret and tell him his fortune. She delighted in success, in youth, in beauty, in genius, in manners. When she met a young person who interested her, she made herself acquainted and intimate with him or her at once, by sympathy, by flattery, by raillery, by anecdotes, by wit, by rebuke, and stormed the castle. None but was attracted or piqued by her interest and wit and wide acquaintance with books and with eminent names. She said she gave herself full swing in these sudden intimacies, for she knew she should disgust them soon, and resolved to have their best hours. "Society is shrewd to detect those who do not belong to her train, and seldom wastes her attentions." She surprised, attracted, chided and denounced her companion by turns, and pretty rapid turns. But no intelligent youth or maiden could have once met her without remembering her with interest, and learning something of value. Scorn trifles, lift your aims: do what you are afraid to do: sublimity of character must come from sublimity of motive: these were the lessons which were urged with vivacity, in ever new language. But if her companion was dull, her impatience knew no bounds. She tired presently of dull conversations, and asked to be read to, and so disposed of the visitor. If the voice or the reading tired her, she would ask the friend if he or she would do an errand for her, and so dismiss them. If her companion were a little ambitious, and asked her opinions on books or matters on which she did not wish rude hands laid, she did not hesitate to stop the intruder with "How's your cat, Mrs. Tenner?" "I was disappointed," she writes, "in finding my little Calvinist no companion, a cold little thing who lives in society alone, and is looked up to as a specimen of genius. I performed a mission in secretly undermining his vanity, or trying to. Alas! never done but by mortifying affliction." From the country she writes to her sister in town, "You cannot help saying that my epistle is a striking specimen of egotism. To which I can only answer that, in the country, we converse so much more with ourselves, that we are almost led to forget everybody else. The very sound of your bells and the rattling of the carriages have a tendency to divert selfishness.." "This seems a world rather of trying each others’ dispositions than of enjoying each others’ virtues." She had the misfortune of spinning with a greater velocity than any of the other tops. She would tear into the chaise or out of it, into the house or out of it, into the conversation, into the thought, into the character of the stranger, - disdaining all the graduation by which her fellows time their steps: and though she might do very happily in a planet where others moved with the like velocity, she was offended here by the phlegm of all her fellow-creatures, and disgusted them by her impatience. She could keep step with no human being. Her nephew [R. W. E.] wrote of her: "I am glad the friendship with Aunt Mary is ripening. As by seeing a high tragedy, reading a true poem, or a novel like ‘Corinne,’ so, by society with her, one's mind is electrified and purged. She is no statutebook of practical commandments, nor orderly digest of any system of philosophy, divine or human, but a Bible, miscellaneous in its parts, but one in its spirit, wherein are sentences of condemnation, promises and covenants of love that make foolish the wisdom of the world with the power of God." Our Delphian was fantastic enough, Heaven knows, yet could always be tamed by large and sincere conversation. Was there thought and eloquence she would listen like a child. Her aspiration and prayer would begin, and the whim and petulance in which by diseased habit she had grown to indulge without suspecting it, was burned up in the glow of her pure and poetic spirit, which dearly loved the Infinite. She writes: "August, 1847: Vale. — My oddities were never designed — effect of an uncalculating constitution, at first, then through isolation; and as to dress, from duty. To be singular of choice, without singular talents and virtues, is as ridiculous as ungrateful." "It is so universal with all classes to avoid contact with me that I blame none. The fact has generally increased piety and self-love." "As a traveller enters some fine palace and finds all the doors closed, and he only allowed the use of some avenues and passages, so have I wandered from the cradle over the apartments of social affections, or the cabinets of natural or moral philosophy, the recesses of ancient and modern lore. All say — Forbear to enter the pales of the initiated by birth, wealth, talents and patronage. I submit with delight, for it is the echo of a decree from above; and from the highway hedges where I get lodging, and from the rays which burst forth when the crowd are entering these noble saloons, whilst I stand in the doors, I get a pleasing vision which is an earnest of the interminable skies where the mansions are prepared for the poor." "To live to give pain rather than pleasure (the latter so delicious) seems the spider-like necessity of my being on earth, and I have gone on my queer way with joy, saying, "Shall the clay interrogate?" But in every actual case, 't is hard, and we lose sight of the first necessity, — here too amid works red with default in all great and grand and infinite aims. Yet with intentions disinterested, though uncontrolled by proper reverence for others." When Mrs. Thoreau called on her one day, wearing pink ribbons, she shut her eyes, and so conversed with her for a time. By and by she said, "Mrs. Thoreau, I don't know whether you have observed that my eyes are shut." "Yes, Madam, I have observed it." "Perhaps you would like to know the reasons?" "Yes, I should." "I don't like to see a person of your age guilty of such levity in her dress." When her cherished favorite, E. H., was at the Vale, and had gone out to walk in the forest with Hannah, her niece, Aunt Mary feared they were lost, and found a man in the next house and begged him to go and look for them. The man went and returned saying that he could not find them. "Go and cry, ‘Elizabeth!’" The man rather declined this service, as he did not know Miss H. She was highly offended, and exclaimed, "God has given you a voice that you might use it in the service of your fellow-creatures. Go instantly and call ‘Elizabeth’ till you find them." 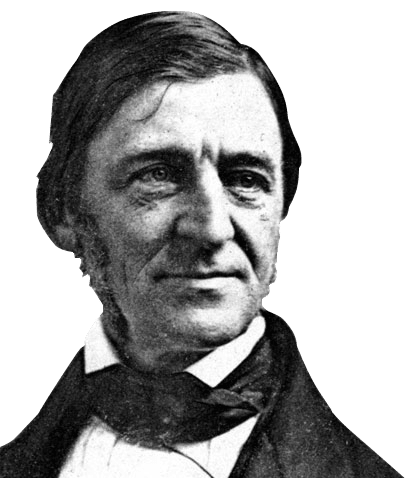 The man went immediately, and did as he was bid, and having found them apologized for calling thus, by telling what Miss Emerson had said to him. When some ladies of my acquaintance by an unusual chance found themselves in her neighborhood and visited her, I told them that she was no whistle that every mouth could play on, but a quite clannish instrument, a pibroch, for example, from which none but a native Highlander could draw music. In her solitude of twenty years, with fewest books and those only sermons, and a copy of "Paradise Lost," without covers or title-page, so that later, when she heard much of Milton and sought his work, she found it was her very book which she knew so well, — she was driven to find Nature her companion and solace. She speaks of "her attempts in Malden, to wake up the soul amid the dreary scenes of monotonous Sabbaths, when Nature looked like a pulpit." "Malden, November 15th, 1805. — What a rich day, so fully occupied in pursuing truth that I scorned to touch a novel which for so many years I have wanted. How insipid is fiction to a mind touched with immortal views! November 16th. — I am so small in my expectations, that a week of industry delights. Rose before light every morn; visited from necessity once, and again for books; read Butler's Analogy; commented on the Scriptures ; read in a little book, — Cicero's Letters, a few: touched Shakspeare, — washed, carded, cleaned house, and baked. To-day cannot recall an error, nor scarcely a sacrifice, but more fulness of content in the labors of a day never was felt. There is a sweet pleasure in bending to circumstances while superior to them. "Malden, September, 1807. — The rapture of feeling I would part from, for days more devoted to higher discipline. But when Nature beams with such excess of beauty, when the heart thrills with hope in its Author, — feels that it is related to him more than by any ties of Creation, — it exults, too fondly perhaps for a state of trial. But in dead of night, nearer morning, when the eastern stars glow or appear to glow with more indescribable lustre, a lustre which penetrates the spirit with wonder and curiosity, — then, however awed, who can fear? Since Sabbath, Aunt B —— [the insane aunt] was brought here. Ah! mortifying sight! instinct perhaps triumphs over reason, and every dignified respect to herself, in her anxiety about recovery, and the smallest means connected. Not one wish of others detains her, not one care. But it alarms me not, I shall delight to return to God. His name my fullest confidence. His sole presence ineffable pleasure. "I walked yesterday five or more miles, lost to mental or heart existence, through fatigue, — just fit for the society I went into, all mildness and the most commonplace virtue. The lady is celebrated for her cleverness, and she was never so good to me. Met a lady in the morning walk, a foreigner, — conversed on the accomplishments of Miss T. My mind expanded with novel and innocent pleasure. Ah! were virtue, and that of dear heavenly meekness attached by any necessity to a lower rank of genteel people, who would sympathize with the exalted with satisfaction? But that is not the case, I believe. A mediocrity does seem to me more distant from eminent virtue than the extremes of station; though after all it must depend on the nature of the heart. A mediocre mind will be deranged in either extreme of wealth or poverty, praise or censure, society or solitude. The feverish lust of notice perhaps in all these cases would injure the heart of common refinement and virtue." Later she writes of her early days in Malden: "When I get a glimpse of the revolutions of nations — that retribution which seems forever going on in this part of creation, — I remember with great satisfaction that from all the ills suffered, in childhood and since, from others, I felt that it was rather the order of things than their individual fault. It was from being early impressed by my poor unpractical aunt, that Providence and Prayer were all in all. Poor woman! Could her own temper in childhood or age have been subdued, how happy for herself, who had a warm heart; but for me would have prevented those early lessons of fortitude, which her caprices taught me to practise. Had I prospered in life, what a proud, excited being, even to feverishness, I might have been. Loving to shine, flattered and flattering, anxious, and wrapped in others, frail and feverish as myself." She alludes to the early days of her solitude, sixty years afterward, on her own farm in Maine, speaking sadly the thoughts suggested by the rich autumn landscape around her: "Ah! as I walked out this afternoon, so sad was wearied Nature that I felt her whisper to me, ‘Even these leaves you use to think my better emblems have lost their charm on me too, and I weary of my pilgrimage, — tired that I must again be clothed in the grandeurs of winter, and anon be bedizened in flowers and cascades. Oh, if there be a power superior to me, — and that there is, my own dread fetters proclaim, — when will He let my lights go out, my tides cease to an eternal ebb? Oh for transformation! I am not infinite, nor have I power or will, but bound and imprisoned, the tool of mind, even of the beings I feed and adorn. Vital, I feel not: not active, but passive, and cannot aid the creatures which seem my progeny, - myself. But you are ingrate to tire of me, now you want to look beyond. ‘T was I who soothed your thorny childhood, though you knew me not, and you were placed in my most leafless waste. Yet I comforted thee when going on the daily errand, fed thee with my mallows, on the first young day of bread failing. More, I led thee when thou knewest not a syllable of my active Cause, (any more than if it had been dead eternal matter,) to that Cause; and from the solitary heart taught thee to say, at first womanhood, Alive with God is enough, — ‘t is rapture.’"
"This morning rich in existence; the remembrance of past destitution in the deep poverty of my aunt, and her most unhappy temper; of bitterer days of youth and age, when my senses and understanding seemed but means of labor, or to learn my own unpopular destiny, and that — but no more; — joy, hope and resignation unite me to Him whose mysterious Will adjusts everything, and the darkest and lightest are alike welcome. Oh! could this state of mind continue, death would not be longed for." "I felt, till above twenty years old, as though Christianity were as necessary to the world as existence; — was ignorant that it was lately promulged, or partially received." Later: "Could I have those hours in which in fresh youth I said, To obey God is joy, though there were no hereafter, I should rejoice, though returning to dust." "Folly follows me as the shadow does the form. Yet my whole life devoted to find some new truth which will link me closer to God. And the simple principle which made me say, in youth and laborious poverty, that, should He make me a blot on the fair face of his Creation, I should rejoice in His will, has never been equalled, though it returns in the long life of destitution like an Angel. I end days of fine health and cheerfulness without getting upward now. How did I use to think them lost! If more liberal views of the divine government make me think nothing lost which carries me to His now hidden presence, there may be danger of losing and causing others the loss of that awe and sobriety so indispensable." She was addressed and offered marriage by a man of talents, education and good social position, whom she respected. The proposal gave her pause and much to think, but after consideration she refused it, I know not on what grounds: but a few allusions to it in her diary suggest that it was a religious act, and it is easy to see that she could hardly promise herself sympathy in her religious abandonment with any but a rarely-found partner. "1807. Jan. 19, Malden [alluding to the sale of her farm]. Last night I spoke two sentences about that foolish place, which I most bitterly lament, — not because they were improper, but they arose from anger. It is difficult, when we have no kind of barrier, to command our feelings. But this shall teach me. It humbles me beyond anything I have met, to find myself for a moment affected with hope, fear, or especially anger, about interest. But I did overcome and return kindness for the repeated provocations. What is it? My uncle has been the means of lessening my property. Ridiculous to wound him for that. He was honestly seeking his own. But at last, this very night, the bargain is closed, and I am delighted with myself: — my dear self has done well. Never did I so exult in a trifle. Happy beginning of my bargain, though the sale of the place appears to me one of the worst things for me at this time." "Jan. 21. Weary at times of objects so tedious to hear and see. O the power of vision, then the delicate power of the nerve which receives impressions from sounds! If ever I am blest with a social life, let the accent be grateful. Could I at times be regaled with music, it would remind me that there are sounds. Shut up in this severe weather with careful, infirm, afflicted age, it is wonderful, my spirits: hopes I can have none. Not a prospect but is dark on earth, as to knowledge and joy from externals: but the prospect of a dying bed reflects lustre on all the rest. "The evening is fine, but I dare not enjoy it. The moon and stars reproach me, because I had to do with mean fools. Should I take so mach care to save a few dollars? Never was I so much ashamed. Did I say with what rapture I might dispose of them to the poor? Pho! self-preservation, dignity, confidence in the future, contempt of trifles! Alas, I am disgraced. Took a momentary revenge on for worrying me." "Jan. 30. I walked to Captain Dexter’s. Sick. Promised never to put that ring on. Ended miserably the month which began so worldly.
" It was the choice of the Eternal that gave the glowing seraph his joys, and to me my vile imprisonment. I adore Him. It was His will that gives my superiors to shine in wisdom, friendship, and ardent pursuits, while I pass my youth, its last traces, in the veriest shades of ignorance and complete destitution of society. I praise Him, though when my strength of body falters, it is a trial not easily described." "True, I must finger the very farthing candle-ends, — the duty assigned to my pride; and indeed so poor are some of those allotted to join me on the weary needy path, that ‘t is benevolence enjoins self-denial. Could I but dare it in the bread-and-water diet! Could I but live free from calculation, as in the first half of life, when my poor aunt lived. I had ten dollars a year for clothes and charity, and I never remember to have been needy, though I never had but two or three aids in those six years of earning my home. That ten dollars my dear father earned, and one hundred dollars remain, and I can't bear to take it, and don't know what to do. Yet I would not breathe to or my want. ‘T is only now that I would not let pay my hotel-bill. They have enough to do. Besides, it would send me packing to depend for anything. Better anything than dishonest dependence, which robs the poorer, and despoils friendship of equal connection." In 1830, in one of her distant homes, she reproaches herself with some sudden passion she has for visiting her old home and friends in the city, where she had lived for a while with her brother [Mr. Emerson's father] and afterwards with his widow. "Do I yearn to be in Boston? ‘T would fatigue, disappoint; I, who have so long despised means, who have always found it a sort of rebellion to seek them? Yet the old desire for the worm is not so greedy as [mine] to find myself in my old haunts." 1833. "The difficulty of getting places of low board for a lady, is obvious. And, at moments, I am tired out. Yet how independent, how better than to hang on friends! And sometimes I fancy that I am emptied and peeled to carry some seed to the ignorant, which no idler wind can so well dispense." "Hard to contend for a health which is daily used in petition for a final close." "Am I, poor victim, swept on through the sternest ordinations of nature's laws which slay? yet I'll trust." "There was great truth in what a pious enthusiast said, that, if God should cast him into hell, he would yet clasp his hands around Him." "Newburyport, Sept. 1822. High, solemn, entrancing noon, prophetic of the approach of the Presiding Spirit of Autumn. God preserve my reason! Alone, feeling strongly, fully, that I have deserved nothing; according to Adam Smith's idea of society, ‘done nothing;’ doing nothing, never expect to; yet joying in existence, perhaps striving to beautify one individual of God's creation. "Our civilization is not always mending our poetry. It is sauced and spiced with our complexity of arts and inventions, but lacks somewhat of the grandeur that belongs to a Doric and unphilosophical age. In a religious contemplative public it would have less outward variety, but simpler and grander means; a few pulsations of created beings, a few successions of acts, a few lamps held out in the firmament enable us to talk of Time, make epochs, write histories, — to do more, — to date the revelations of God to man. But these lamps are held to measure out some of the moments of eternity, to divide the history of God's operations in the birth and death of nations, of worlds. It is a goodly name for our notions of breathing, suffering, enjoying, acting. We personify it. We call it by every name of fleeting, dreaming, vaporing imagery. Yet it is nothing. We exist in eternity. Dissolve the body and the night is gone, the stars are extinguished, and we measure duration by the number of our thoughts, by the activity of reason, the discovery of truths, the acquirement of virtue, the approach to God. And the gray-headed god throws his shadows all around, and his slaves catch, now at this, now at that, one at the halo he-throws around poetry, or pebbles, bags, or bubbles. Sometimes they climb, sometimes creep into the meanest holes — but they are all alike in vanishing, like the shadow of a cloud." To her nephew Charles: "War; what do I think of it ? Why in your ear I think it so much better than oppression that if it were ravaging the whole geography of despotism it would be an omen of high and glorious import. Channing paints its miseries, but does he know those of a worse war, — private animosities, pinching, bitter warfare of the human heart, the cruel oppression of the poor by the rich, which corrupts old worlds? How much better, more honest, are storming and conflagration of towns! They are but letting blood which corrupts into worms and dragons. A war-trump would be harmony to the jars of theologians and statesmen such as the papers bring. It was the glory of the Chosen People, nay, it is said there was war in Heaven. War is among the means of discipline, the rough meliorators, and no worse than the strife with poverty, malice and ignorance. War devastates the conscience of men, yet corrupt peace does not less. And if you tell me of the miseries of the battle-field, with the sensitive Charming, (of whose love of life I am ashamed), what of a few days of agony, what of a vulture being the bier, tomb and parson of a hero, compared to the long years of sticking on a bed and wished away? For the widows and orphans — Oh, I could give facts of the long-drawn years of imprisoned minds and hearts, which uneducated orphans endure! "O Time! Thou loiterer. Thou, whose might has laid low the vastest and crushed the worm, restest on thy hoary throne, with like potency over thy agitations and thy graves. When will thy routines give way to higher and lasting institutions? When thy trophies and thy name and all its wizard forms be lost in the Genius of Eternity? In Eternity, no deceitful promises, no fantastic illusions, no riddles concealed by thy shrouds, none of thy Arachnean webs, which decoy and destroy. Hasten to finish thy motley work, on which frightful Gorgons are at play, spite of holy ghosts. ‘T is already moth-eaten and its shuttles quaver, as the beams of the loom are shaken. "Sat. 25. Hail requiem of departed Time! Never was incumbent’s funeral followed by expectant heir with more satisfaction. Yet not his hope is mine. For in the weary womb are prolific numbers of the same sad hour, colored by the memory of defeats in virtue, by the prophecy of others, more dreary, blind and sickly. Yet He who formed thy web, who stretched thy warp from long ages, has graciously given man to throw his shuttle, or feel he does, and irradiate the filling woof with many a flowery rainbow, — labors, rather — evanescent efforts, which will wear like flowerets in brighter soils; — has attuned his mind in such unison with the harp of the universe, that he is never without some chord of hope's music. ‘T is not in the nature of existence, while there is a God, to be without the pale of excitement. When the dreamy pages of life seem all turned and folded down to very weariness, even this idea of those who fill the hour with crowded virtues, lifts the spectator to other worlds, and he adores the eternal purposes of Him who lifteth up and casteth down, bringeth to dust, and raiseth to the skies. ‘T is a strange deficiency in Brougham's title of a System of Natural Theology, when the moral constitution of the being for whom these contrivances were made is not recognized. The wonderful inhabitant of the building to which unknown ages were the mechanics, is left out as to that part where the Creator had put his own lighted candle, placed a vice-gerent. Not to complain of the poor old earth's chaotic state, brought so near in its long and gloomy transmutings by the geologist. Yet its youthful charms as decked by the hand of Moses’ Cosmogony, will linger about the heart, while Poetry succumbs to Science. Yet there is a sombre music in the whirl of times so long gone by. And the bare bones of this poor embryo earth may give the idea of the Infinite far, far better than when dignified with arts and industry: — its oceans, when beating the symbols of ceaseless ages, than when covered with cargoes of wax and oppression. How grand its preparation for souls, — souls who were to feel the Divinity, before Science had dissected the emotions, and applied its steely analysis to that state of being which recognizes neither psychology nor element.
" September, 1836. Vale. The mystic dream which is shed over the season. O, to dream more deeply; to lose external objects a little more! Yet the hold on them is so slight, that duty is lost sight of perhaps, at times. Sadness is better than walking talking acting somnambulism. Yes, this entire solitude with the Being who makes the powers of life! Even Fame, which lives in other states of Virtue, palls. Usefulness, if it requires action,, seems less like existence than the desire of being absorbed in God, retaining consciousness. Number the waste-places of the journey, — the secret martyrdom of youth, heavier than the stake, I thought, the narrow limits which know no outlet, the bitter dregs of the cup, — and all are sweetened by the purpose of Him I love. The idea of being no mate for those intellectualists I've loved to admire, is no pain. Hereafter the same solitary joy will go with me, were I not to live, as I expect, in the vision of the Infinite. Never do the feelings of the Infinite, and the consciousness of finite frailty and ignorance, harmonize so well as at this mystic season in the deserts of life. Contradictions, the modern German says, of the Infinite and finite." I sometimes fancy I detect in her writings, a certain — shall I say — polite and courtly homage to the name and dignity of Jesus, not at all spontaneous, but growing out of her respect to the Revelation, and really veiling and betraying her organic dislike to any interference, any mediation between her and the Author of her being, assurance of whose direct dealing with her she incessantly invokes: for example, the parenthesis "Saving thy presence, Priest and Medium of all this approach for a sinful creature!" "Were it possible that the Creator was not virtually present with the spirits and bodies which lie has made: — if it were in the nature of things possible He could withdraw himself, — I would hold on to the faith, that, at some moment of His existence, I was present: that, though cast from Him, my sorrows, my ignorance and meanness were a part of His plan; my death, too, however long and tediously delayed to prayer, — was decreed, was fixed. Oh how weary in youth — more so scarcely now, not whenever I can breathe, as it seems, the atmosphere of the Omnipresence: then I ask not faith nor knowledge; honors, pleasures, labors, I always refuse, compared to this divine partaking of existence; — but how rare, how dependent on the organs through which the soul operates! The sickness of the last week was fine medicine; pain disintegrated the spirit, or became spiritual. I rose, — I felt that I had given to God more perhaps than an angel could, — had promised Him in youth that to be a blot on this fair world, at His command, would be acceptable. Constantly offer myself to continue the obscurest and loneliest thing ever heard of, with one proviso, — His agency. Yes, love Thee, and all Thou dost, while Thou sheddest frost and darkness on every path of mine." For years she had her bed made in the form of a coffin; and delighted herself with the discovery of the figure of a coffin made every evening on their sidewalk, by the shadow of a church tower which adjoined the house. Saladin caused his shroud to be made, and carried it to battle as his standard. She made up her shroud, and death still refusing to come, and she thinking it a pity to let it lie idle, wore it as a night-gown, or a day-gown, nay, went out to ride in it, on horseback, in her mountain roads, until it was worn out. Then she had another made up, and as she never travelled without being provided for this dear and indispensable contingency, I believe she wore out a great many. "1833. I have given up, the last year or two, the hope of dying. In the lowest ebb of health nothing is ominous; diet and exercise restore. So it seems best to get that very humbling business of insurance. I enter my dear sixty the last of this month." "1835, June 16. Tedious indisposition: —hoped, as it took a new form, it would open the cool, sweet grave. Now existence itself in any form is sweet. Away with knowledge; — God alone. He communicates this our condition and humble waiting, or I should never perceive Him. Science, Nature, — O, I've yearned to open some page; — not now, too late. Ill health and nerves. O dear worms, — how they will at some sure time take down this tedious tabernacle, most valuable companions, instructors in the science of mind, by gnawing away the meshes which have chained it. A very Beatrice in showing the Paradise. Yes, I irk under contact with forms of depravity, while I am resigned to being nothing, never expect a palm, a laurel, hereafter." "1826, July. If one could choose, and without crime be gibbeted, — were it not altogether better than the long drooping away by age without mentality or devotion? The vulture and crow would caw caw, and, unconscious of any deformity in the mutilated body, would relish their meal, make no grimace of affected sympathy, nor suffer any real compassion. I pray to die, though happier myriads and mine own companions press nearer to the throne. His coldest beam will purify and render me forever holy. Had I the highest place of acquisition and diffusing virtue here, the principle of human sympathy would be too strong for that rapt emotion, that severe delight which I crave; nay for that kind of obscure virtue which is so rich to lay at the feet of the Author of morality. Those economists (Adam Smith) who say nothing is added to the wealth of a nation but what is dug out of the earth, and that, whatever disposition of virtue may exist, unless something is done for society, deserves no fame, — why I am content with such paradoxical kind of facts; but one secret sentiment of virtue, disinterested (or perhaps not), is worthy, and will tell, in the world of spirits, of God's immediate presence, more than the blood of many a martyr who has it not." "I have heard that the greatest geniuses have died ignorant of their power and influence on the arts and sciences. I believe thus much, that their large perception consumed their egotism, or made it impossible for them to make small calculations." "That greatest of all gifts, however small my power of receiving, — the capacity, the element to love the All-perfect, without regard to personal happiness: — happiness? — ‘t is itself." She checks herself amid her passionate prayers for immediate communion with God; — "I who never made a sacrifice to record, — I cowering in the nest of quiet for so many years; — I indulge the delight of sympathizing with great virtues, — blessing their Original: Have I this right?" "While I am sympathizing in the government of God over the world, perhaps I lose nearer views. Well, I learned his existence a priori. No object of science or observation ever was pointed out to me by my poor aunt, but His Being and commands; and oh how much I trusted Him with every event till I learned the order of human events from the pressure of wants." "What a timid, ungrateful creature! Fear the deepest pit-falls of age, when pressing on, in imagination at least, to Him with whom a day is a thousand years, — with whom all miseries and irregularities are conforming to universal good! Shame on me who have learned within three years to sit whole days in peace and enjoyment without the least apparent benefit to any, or knowledge to myself; — resigned, too, to the memory of long years of slavery passed in labor and ignorance, to the loss of that character which I once thought and felt so sure of, without ever being conscious of acting from calculation." Her friends used to say to her, "I wish you joy of the worm." And when at last her release arrived, the event of her death had really such a comic tinge in the eyes of every one who knew her, that her friends feared they might, at her funeral, not dare to look at each other, lest they should forget the serious proprieties of the hour. She gave high counsels. It was the privilege of certain boys to have this immeasurably high standard indicated to their childhood; a blessing which nothing else in education could supply. It is frivolous to ask, — And was she ever a Christian in practice?" Cassandra uttered, to a frivolous, skeptical time, the arcana of the Gods: but it is easy to believe that Cassandra domesticated in a lady's house would have proved a troublesome boarder. Is it the less desirable to have the lofty abstractions because the abstractionist is nervous and irritable? Shall we not keep Flamsteed and Herschel in the observatory, though it should even be proved that they neglected to rectify their own kitchen clock? It is essential to the safety of every mackerel fisher that latitudes and longitudes should be astronomically ascertained; and so every banker, shopkeeper and wood-sawyer has a stake in the elevation of the moral code by saint and prophet. Very rightly, then, the Christian ages, proceeding on a grand instinct, have said: Faith alone, Faith alone. My heart's content would find it right. As their murmurs mine to lull. Mourning summer laid in shrouds. Time! shake not thy bald head at me. Or for my turn to fly too fast. "She is of too high a mind and dignity not only to seek, but almost to wish, the friendship of any creature. They whom she is pleased to choose are such as are of the most eminent condition both for power and employment,-not with any design towards her own particular, either of advantage or curiosity, but her nature values fortunate persons. She prefers the conversation of men to that of women; not but she can talk on the fashions with her female friends, but she is too soon sensible that she can set them as she wills; that pre-eminence shortens all equality. She converses with those who are most distinguished for their conversational powers. Of Love freely will she discourse, listen to all its faults and mark its power: and will take a, deep interest for persons of celebrity."